Thats all. 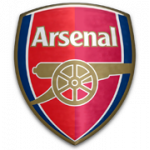 Game finished - BATE Borisov 1, Arsenal 0. Second Half ended - BATE Borisov 1, Arsenal 0. New attacking attempt. Matteo Guendouzi - Arsenal - shot with right foot from outside the box is saved in the left corner. Assist - Pierre-Emerick Aubameyang. Bojan Dubajic - BATE Borisov - won a free kick in defence. Missed chance. Lucas Torreira - Arsenal - shot with right foot from outside the box missed. Assist - Denis Suárez. Hervaine Moukam - BATE Borisov - won a free kick in defence. Stanislav Dragun - BATE Borisov - receive yellow card for a foul. Corner - Arsenal. Conceded by Stanislav Dragun. Aleksandar Filipovic - BATE Borisov - receive yellow card for a foul. Alexandre Lacazette - Arsenal - receive red card for violent conduct. Alexandre Lacazette - Arsenal - won a free kick on the right wing. Matteo Guendouzi - Arsenal - won a free kick in defence. Corner - Arsenal. Conceded by Aleksey Rios. Corner - Arsenal. Conceded by Aleksandar Filipovic. Substitution - BATE Borisov. Hervaine Moukam for Maksim Skavysh. Maksim Skavysh - BATE Borisov - won a free kick in defence. Corner - Arsenal. Conceded by Denis Scherbitski. Shot blocked. Evgeni Berezkin - BATE Borisov - shot with right foot from outside the box is blocked. Assist - Maksim Skavysh. Substitution - Arsenal. Denis Suárez for Sead Kolasinac. Missed chance. Sead Kolasinac - Arsenal - shot with left foot from a diffucult position on the left missed. Bojan Dubajic - BATE Borisov - receive yellow card for a foul. Substitution - BATE Borisov. Bojan Dubajic for Nemanja Milic. Substitution - Arsenal. Lucas Torreira for Granit Xhaka. Substitution - Arsenal. Pierre-Emerick Aubameyang for Ainsley Maitland-Niles. Sead Kolasinac - Arsenal - won a free kick in defence. Corner - BATE Borisov. Conceded by Laurent Koscielny. Offside - BATE Borisov. Nemanja Milic with a pass, however Aleksandar Filipovic is in offside. New attacking attempt. Igor Stasevich - BATE Borisov - shot with right foot from outside the box is saved by goalkeeper in the centre of the goal. Substitution - BATE Borisov. Evgeni Berezkin for Alyaksandr Hleb. Offside - Arsenal. Sead Kolasinac with a pass, however Alexandre Lacazette is in offside. Missed chance. Alex Iwobi - Arsenal - shot with right foot from the centre of the box is close, but missed to the left. Assist - Sead Kolasinac with a cross. Corner - Arsenal. Conceded by Nemanja Milic. 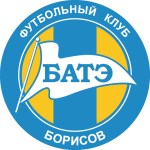 Delay in match Dmitri Baga - BATE Borisov - - injury. New attacking attempt. Alexandre Lacazette - Arsenal - shot with right foot from outside the box is saved in the top centre of the goal. Assist - Sead Kolasinac. Shot blocked. Shkodran Mustafi - Arsenal - shot with right foot from the left side of the box is blocked. Assist - Henrikh Mkhitaryan with a cross. Second Half starts BATE Borisov 1, Arsenal 0. First Half ended - BATE Borisov 1, Arsenal 0. Goal! BATE Borisov 1, Arsenal 0. Stanislav Dragun - BATE Borisov - shot with the head from the centre of the box to the top left corner. Assist - Igor Stasevich with a cross . Maksim Skavysh - BATE Borisov - won a free kick on the right wing. Missed chance. Sead Kolasinac - Arsenal - shot with left foot from a diffucult position on the left is close, but missed to the left. Stanislav Dragun - BATE Borisov - won a free kick in defence. Shot blocked. Ainsley Maitland-Niles - Arsenal - shot with left foot from the right side of the box is blocked. Assist - Henrikh Mkhitaryan. Shot blocked. Alex Iwobi - Arsenal - shot with right foot from the left side of the box is blocked. Assist - Sead Kolasinac. Shot blocked. Sead Kolasinac - Arsenal - header inside of six yard box - left side is blocked. Offside - BATE Borisov. Stanislav Dragun with a pass, however Maksim Skavysh is in offside. Offside - BATE Borisov. Zakhar Volkov with a pass, however Maksim Skavysh is in offside. Offside - BATE Borisov. Maksim Skavysh with a pass, however Nemanja Milic is in offside. 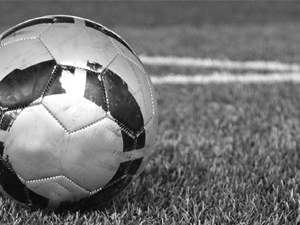 Nemanja Milic - BATE Borisov - hits the right post with a shot with right foot from the right side of the six yard box. Assist - Maksim Skavysh. Shot blocked. Aleksey Rios - BATE Borisov - shot with right foot from the right side of the box is blocked. Corner - BATE Borisov. Conceded by Ainsley Maitland-Niles. Corner - BATE Borisov. Conceded by Sead Kolasinac. Missed chance. Alexandre Lacazette - Arsenal - shot with the head from the right side of the six yard box goes high. Assist - Sead Kolasinac. Missed chance. Alex Iwobi - Arsenal - shot with right foot from outside the box missed. Assist - Sead Kolasinac. New attacking attempt. Maksim Skavysh - BATE Borisov - shot with right foot from the right side of the box is saved by goalkeeper in the centre of the goal. Assist - Nemanja Milic. Shot blocked. Sead Kolasinac - Arsenal - shot with left foot from the left side of the box is blocked. Assist - Granit Xhaka. New attacking attempt. Alex Iwobi - Arsenal - shot with right foot from the centre of the box is saved by goalkeeper in the centre of the goal. Assist - Sead Kolasinac. Granit Xhaka - Arsenal - receive yellow card for a foul. Maksim Skavysh - BATE Borisov - won a free kick in attack. Offside - Arsenal. Granit Xhaka with a pass, however Sead Kolasinac is in offside. Missed chance. Shkodran Mustafi - Arsenal - shot with the head from the centre of the box is close, but missed. Assist - Henrikh Mkhitaryan with a cross after corner. New attacking attempt. Henrikh Mkhitaryan - Arsenal - shot with right foot from few metres is saved by goalkeeper in the centre of the goal. Assist - Sead Kolasinac.